This is us! A team that delivers on our company-wide purpose: to get S.H.I.T done. Graphic designers, brand managers, web developers, digital marketers & advertising consultants all under one roof. Since 1997, we’ve been inspiring business owners, providing design-led and digital-first business solutions. 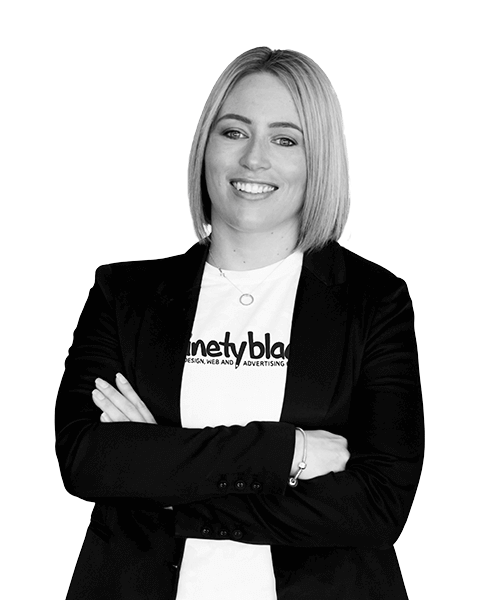 Whether you need a graphic design agency, web design company, advertising or some direction with your print and digital marketing – ninetyblack delivers a results-driven, memorable customer experience giving your business the right look, and communicating it to the right people in the right places. Diversity is our greatest strength. It enables us to challenge and fast track ideas – getting to the best solution, faster. By leveraging off our differences (that cross culture, race, education, gender, religion, talent) we collaborate as a team to produce positive and innovative outcomes for our clients. We’re not a design or digital firm, we’re an Ideation Agency. Across our design, digital and advertising departments, we blend our capabilities to engineer possibilities. Turning ideas in to everyday business practice, so your business performs better. Everything we do, every decision we make, is guided by our shared company values. We’re here to do things successfully, honestly, with integrity and as a team (which includes the client). Our passion is to do it once and do it right. For us, success is making a creative impact. We know what works, and what doesn’t. We’ll tell you what’s right for your brand and your customers. As your business partners, we work for you, with open communication every step of the way. We work together and combine our many talents to give you the best solution. At ninetyblack, our purpose is to “get S.H.I.T done”.